BNP Secretary General Mirza Fakhrul Islam Alamgir will appear before the media on Sunday (Nov 11) to brief the party’s next course of action over the 11th Parliamentary Election after holding a series of meeting on Saturday. BNP National Standing Committee member Mahbubur Rahman confirmed Bangla Tribune. Rahman came up with the development after the party held a series of meeting with its leaders as well the allies’ at the BNP chief Khaleda Zia’s Gulashan offices on Saturday (Nov 10). Earlier, members of BNP’s National Standing Committee sat for an hour-long meeting at 5:30pm to set the party’ next course of action over the national polls. BNP then held another hour-long sitting with the leaders of 20-party Alliance, beginning 6:30pm, to take the allies’ opinion. 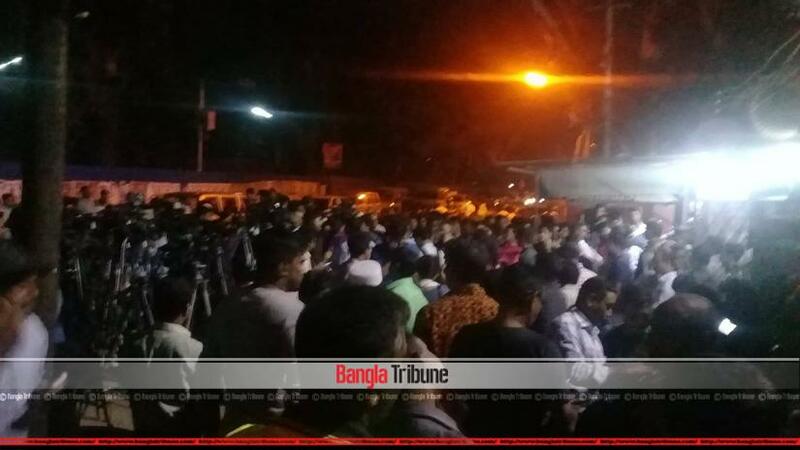 The meeting was followed by another one with the newly floated anti-government alliance Jatiya Oikya Front, started from 8:30pm. Hour after the announcement, the BNP has ‘agreed in principle’ to take part in the polls despite it came down hard on the Commission, party leaders familiar with the matter told Bangla Tribune.